If I had a pound for every time someone in financial services talks about spending in retirement as being ‘U-shaped’, I’d probably have enough money by now to never have to work again! It’s a commonly held view that most people spend more early in retirement when they’re active and keen to enjoy their new-found freedom. Then they go into a less active stage where spending declines, only for it to pick up dramatically in later life due to care costs. The trouble is, for the majority of people, this idea of ‘U-shaped’ spending in retirement is a myth. For some time, researchers have identified an important phenomenon known as the ‘saving puzzle’ – older people keep accumulating assets in retirement and the amount of money they save increases with age! Amazingly, this trend is broadly consistent even when you look at segments of people with different lifestyles. 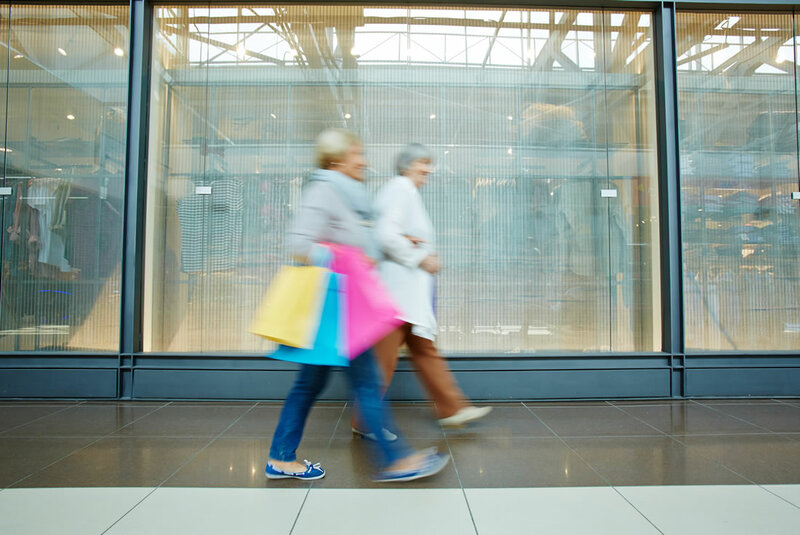 The authors note that even the “Extravagant Couples” – those who spend nearly 40% of their total expenditure on recreational goods and services – spend more of their income in the first decade or so of retirement, as do those who are “Just Getting By”. 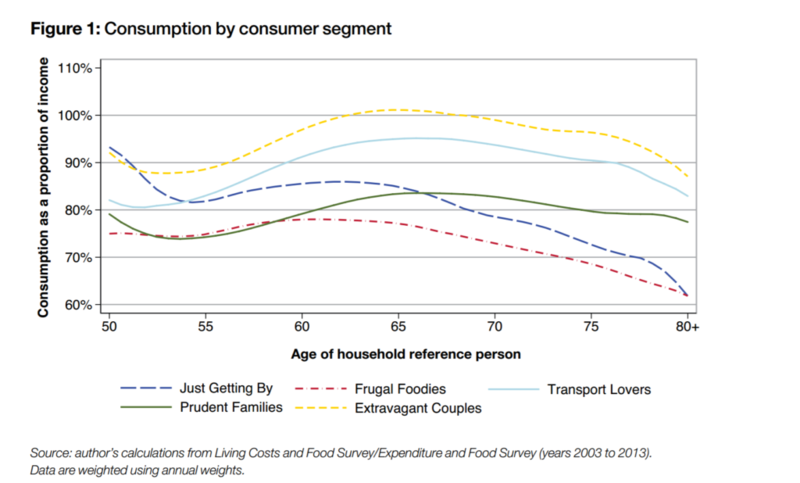 The “Prudent Families” and “Frugal Foodies” consistently spend below their income over the duration of retirement. All the groups save in later life. From age 75 onwards, even the “Just Getting By” group, which is the lowest income group, starts to save. The savings are the consequence of falling consumption towards the end of life on non-essential items. approximately 30% of people use some form of local authority-funded social care in the last year of life. While it’s important to factor in possible care costs into a retirement income plan, the chances that someone ends up having to pay for care are relatively low. Ultimately, each person’s spending pattern in retirement will be different. A lot depends on the choices we make about what we want out of retirement. At Tandem, we work with our clients to visualise their own retirement journey and craft their financial plan accordingly.